1. Friday Happy Hour at Hughes Hangar with friends. Review – loved it. Cool vibe, huge awesome patio, great drinks, good apps. Only complaint is that they were pretty slow, but then again it was our waitress’ first day, so I’ll cut her some slack. 2. Joshua Bell recital at Jones Hall. I happened to find discount tickets ($20 each for great seats) online last week, and I had randomly heard of Joshua Bell from this article, which I found fascinating, so I thought it would be a fun, cultural thing to do. You might be surprised that Jon agreed to go, but he’s played the piano for years, and used to play the cello too, so he’s actually a fan of classical music. Review – we both enjoyed it, although we both had some trouble staying awake after happy hour. I mean, he’s amazing at the violin, but it was still just him, another guy, a violin and a piano. That’s it. For two hours. You try to stay awake after a long day at work and two cocktails. 3. Saturday brunch at Down House in the Heights. Review – we liked it. Some friends recommended this place for brunch, and I’d heard a lot about it, and it lived up to expectations. Great brunch cocktails, yummy food, and really reasonable prices. As in, the two of us got out of there for $30 total which included two meals and two drinks. I also liked the atmosphere and it seems like it would be a fun happy hour or evening hang out as well. 4. Saw Girl With the Dragon Tattoo, finally. I read all three books, so I really wanted to see the movie, although those who said it was intensely graphic were in fact correct. It was painfully graphic at a few parts. Review – overall I liked it a lot. I think it did the book justice, and it was very fast-paced and interesting. Following the book too closely could’ve made it slow (and 8 hours long), but David Fincher avoided that while still including all the important parts. 5. Made dinner last night – meatloaf and brussels sprouts. I know, 8-year-old you just gagged a little. But it was actually really good! I found a healthy recipe for meatloaf (using ground turkey and lots of veggies) and I pan roasted the brussels sprouts with bacon. Can’t go wrong with bacon. And Jon loooves brussels sprouts, so the meal was a hit. 6. 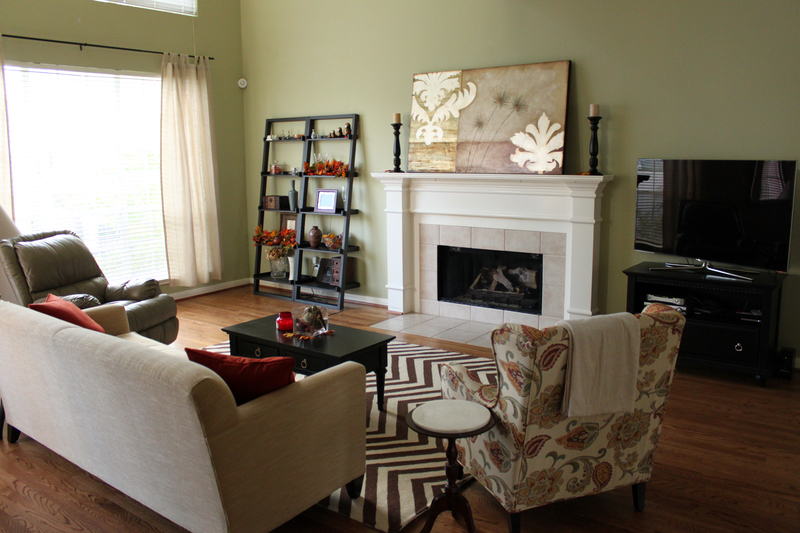 Other things I did this weekend – watched more Downton Abbey (so glad PBS has the second season streaming online), went to a yoga class, hung out with my mom while she helped me fix my living room curtains – they now hang all the way to the floor! I’ll have to post photos soon. You’ve probably heard all the fuss about SOPA and PIPA, especially today when many sites are blacked out to oppose them. Basically, if you enjoy the internet, and all the fun and funny and entertaining things that can be found here, you should probably do what you can to oppose these bills. They would make the internet significantly less fun. Contact your representatives and tell them you oppose this legislation. Sign this petition over on Google. Check out today’s black out over on TheOatmeal.com – just ’cause it’s awesome. 1. Happy Martin Luther King Day. I hope you’re lucky enough to have the day off, ’cause I’m not. Wah. 2. Note to self: next time you go to yoga, remember to take off your mascara beforehand. Mascara + an hour of sweating and wiping your face on a towel = scary monster face. 3. Jon and I woke up before 7am on Saturday and went downtown to watch the Olympic marathon trials. It was pretty cool, despite the 30-something degree temperature. 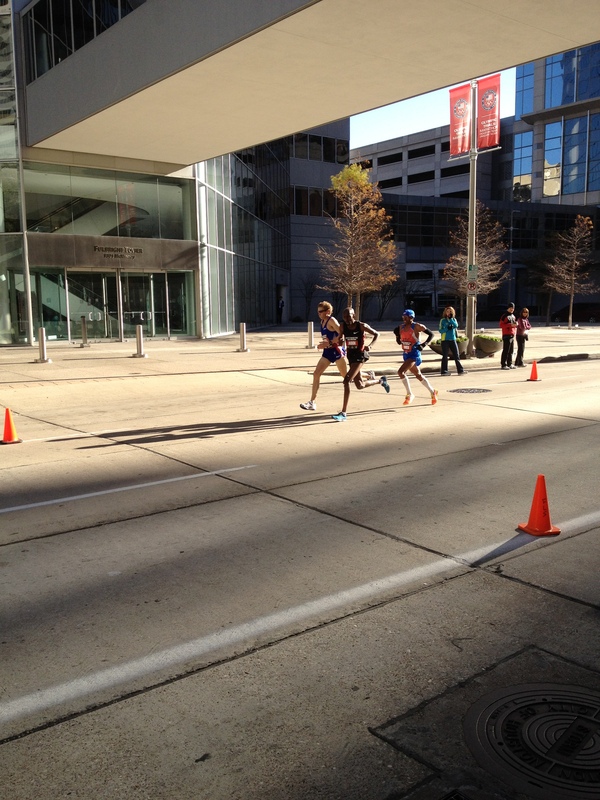 Not every day you get to watch Olympians run around downtown Houston. 4. I discovered a new TV show obsession yesterday – Downton Abbey. I’d heard a lot about it lately (all good things) and then a friend told me it was available on Netflix streaming, so that sealed the deal. I started the first episode of season 1 yesterday afternoon and ended up skipping the Golden Globes to watch episodes 2 and 3. Now all I want to do is go home and watch the rest. 5. I also watched the Netflix DVD we had this weekend – Almost Famous. Jon couldn’t believe I’d put that in our queue, because he’s seen it a million times, but I had never seen it. Now I can’t believe it took me so long! It was so good! It was really fun to see how many people were in it who are more famous now than when it was filmed (2000) – Zooey Deschanel, Eric Stonestreet, Rainn Wilson, Anna Paquin, even Nick Swardson had a split-second one-liner. 6. I promise I didn’t just watch movies/TV all weekend, but I also watched Crazy, Stupid, Love which I thought was really cute. 7. We finally had brunch at Tiny Boxwood’s!! And it actually lived up to my expectations – it was amazing. Especially the chocolate chip cookies – absolute heaven. That’s it for today – Happy Monday! Although I haven’t done this on my blog before, I had such an… interesting experience at a Houston restaurant this weekend that I thought I’d write up a little review. I plan to post parts of this on Yelp as well. Jon and I have a group of friends who often go out to eat together on Friday nights – it started this summer when we wanted to try new restaurants in Houston, and we lovingly refer to it as “supper club.” With the holidays, we hadn’t all gone out in a while, so Friday afternoon we started an email discussion to decide on a place to try that night. I suggested The Capitol at St. Germain. It’s a pretty new restaurant (opened in Nov. I think) downtown, and after reading about it in the Weekly Yelp email as one of the best new places of 2011, and in CultureMap’s list of 10 hot, must-try restaurants for December, I was intrigued. The 20’s flapper theme sounded fun, and while I did read something about live music, I didn’t think much of it. Everyone agreed to try it out, so we made a reservation for 8 people at 8pm. We were seated right away at a large round table… RIGHT in front of the stage. RIGHT in front of several huge speakers, which were blasting the sounds of a guy singing and playing guitar. Not a great start. Given the size of our group and our table, and the loudness of the music, there was no way we could have a conversation. We had to lean close and speak loudly just to be heard by the person next to us. To be fair, we didn’t have a problem with the music itself, per se, it was just too loud. The guy playing was actually quite good, especially some of his original songs that he played. We just wished the music had been much quieter – and I really don’t see a reason why it couldn’t have been. Even at the back of the restaurant, the music was loud and clear (emphasis still on loud). And really, the live music didn’t make sense with the rest of the restaurant – the upscale, classy, 20’s vibe was totally drowned out by the loud, unrelated music. Which only got worse when the singer-songwriter guy was followed up by a comical 70’s music duo wearing bright hippie shirts and sunglasses. Good for a laugh, but that was about it. My biggest suggestion for this place would be to turn down the music, and/or change the type of music to fit better with the restaurant theme (some jazz or even big band music would’ve been more welcome). Moving past the music, on to cocktails. The cocktail menu was pretty basic, nothing too impressive sounding, so I went with a simple sounding Blueberry Martini. The menu said it included Stoli Blueberry, St. Germain, and Agave. So I expected it to be sweetened (I can’t drink straight up vodka anyway) but still not too sweet – I was expecting a martini. When it arrived (come to think of it, it took a while, even though we only ordered a couple cocktails and a few beers), the first thing that surprised me was that it was bright blue. Was not expecting that, and I’m still not sure what ingredient was blue. Then I took a sip, and was completely disappointed – it tasted like sugar water. It barely even tasted like vodka, or blueberry. Two other people tried it and said the same thing. Even though I rarely do this, I told the waiter it just wasn’t what I expected, and I didn’t like it, and asked him to bring me a different drink. He did, and they didn’t charge us for the martini, so that was good at least. My second drink was much better, although still really sweet. The good thing that came out of this, and really the most promising thing of the evening, was that when he took my first drink back to the bar, we watched as the manager tasted it, mixed a new drink, made the bartenders taste both of them, held them up to compare (the one I got was significantly darker blue), and the bartender acknowledged that there was a difference. Especially in such a new restaurant, it’s great to see them trying to learn from their mistakes. Now on to food. I had a cup of lobster bisque – it was fine, no lobster chunks which I would have like, but it was a little spicy, which I enjoyed – and the grilled chicken with pumpkin ravioli. I’m not really sure what to say about the chicken and ravioli. On the one hand, it was really good – cooked well, good flavors, and I really enjoyed it. But on the other hand.. it was almost unbearably salty. I liked it, but all I could think while I was eating it was how salty it was. Like my drink, I made Jon try it to see if I was crazy. I didn’t say anything first, just gave him a bite – his reaction was “mm, it’s goo..it’s salty.” Same as mine, so I knew it wasn’t just me. I also tried Jon’s dish – Spicy Shrimp Pomodoro (or something like that). It was alright, but the noodles were just about mush. Definitely spicy though, not sure I would have been able to eat the whole bowl. Everyone else seemed to enjoy their food enough; no one was particularly happy or unhappy about anything. I’m not really sure how to summarize the review, other than – I was disappointed. Mainly because I really wanted to like the place, it had such potential. And I really think there’s a chance they can work out some of the kinks and be better. I almost wish we had waited a couple more months to try it – I can’t really say I’ll go back, but I hope it improves. Apparently there have been several different restaurants in that same spot that have failed, so we’ll see how long this one lasts. Everyone knows downtown Houston is known more for restaurants closures than restaurant success stories. Has anyone else been to The Capitol? What was your experience like? 20 New Year’s Resolutions For 20-Somethings « Thought Catalog. All I can say is.. A. Men. What about you? Have any others to add? I just sat here staring at my screen for five minutes trying to figure out what to type in the Title section of this post. How am I supposed to come up with a title for every post? Especially when most of my posts are random and rambling. For example, today I was planning to post about a delicious recipe I made for dinner last night, a funny photo I saw on Facebook, and a complaint about the latest Les Mis movie casting news. How on earth am I supposed to come up with a title for all of that?? 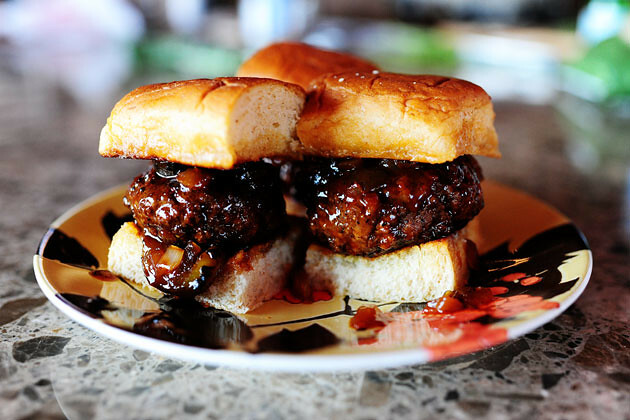 Spicy Whiskey BBQ Sliders. Please note, that is NOT my photo. That is The Pioneer Woman’s amazing photo. Although my sliders did look that tasty, if not quite as pretty. I saw this recipe the other day and pinned it to Pinterest, and when I went to the grocery store after work yesterday I decided I had to make them. And they were glorious. I forgot to buy jarred jalapenos, so I just added a good amount of jalapeno Tabasco, which worked pretty well – it gave the whole sauce some spice without having chunks that made some bites spicier than others. Oh and I used ground turkey instead of bison, to be healthier (plus, I doubt they sell bison at Kroger.. but who knows). And I halved the recipe cause it was just me and Jon. But yeah, did I mention they were delicious? And one more time just to be sure, all the recipe credit goes to The Pioneer Woman, and you can find the recipe here. Next up: I came across this image on Facebook today and found it hilarious. Sorry if I offend any Twilight fans by sharing this, but come on, you have to admit it’s funny. I have not actually read any of the books (despite numerous attempts by several friends to convince me), although I have seen the movies. But at least one person who has read all the books has told me that the writing is awful. So, there ya go. And finally.. Les Mis. One of my favorite musicals of all time (along with Wicked). Seriously, I’ve seen it 5 times and it never gets old. So naturally I was pretty excited to hear they’re making a new movie musical version, with an all-star cast. First came Hugh Jackman as Jean Valjean, and Russel Crowe as Javert. Pretty sure Sacha Baron Cohen and Helena Bonham Carter will be hilarious as the Thenardiers. And then came one of the most important roles of all – definitely the most important female role – Eponine. One of my favorite songs from the movie is hers – On My Own. Amazing. But it definitely won’t be so amazing when it’s sung by…….. Taylor. Swift. UGH! Now don’t get me wrong, I don’t really have anything against Taylor Swift. She’s cute, likable, her songs are catchy and fun (if not particularly impressive). But she can NOT act (hello, Valentine’s Day? ), and she really can NOT sing. Not when you’re talking about musical theater singing. I can’t understand why they offered her the role. Especially when Lea Michele was also under consideration.. surely she must have turned it down first, why on earth would they pick Taylor Swift over a proven Broadway actress who also has current pop-culture cred (Glee, while terrible, is still huge). There’s only one explanation – maybe they’re going for a musical comedy, as this article sarcastically suggests. Alright, that’s enough venting for now. Anyone else with me on this? Or have other views? Any offended Twilight fans? Will anyone still see the Les Mis movie with Taylor Swift? Welcome to my little home on the interwebs. Pretty much a blog about nothing, and everything. Hope you enjoy!